Keeping your guests warm and satisfied, this superb dish is well worth the prep! 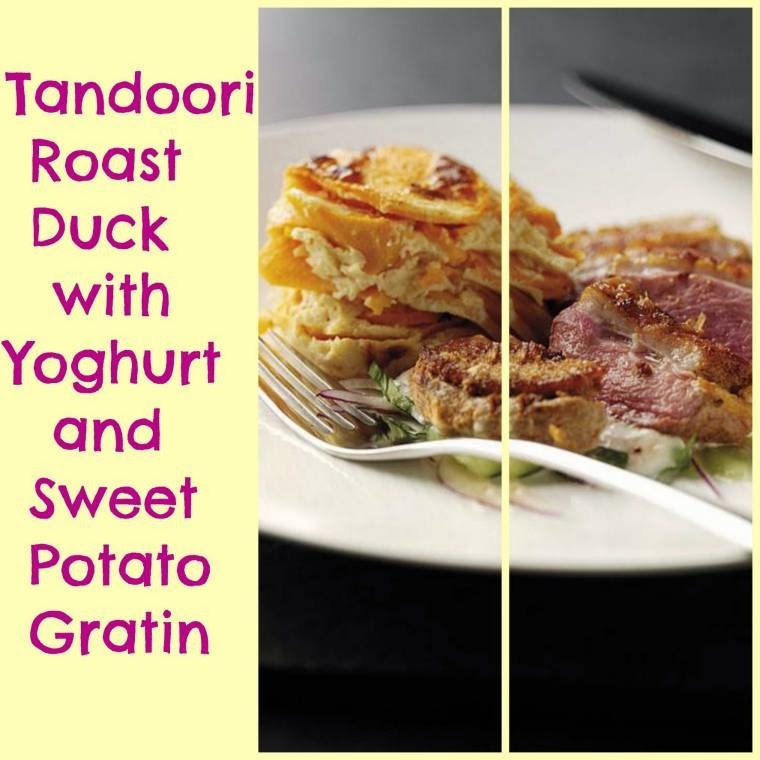 To make the marinade, mix the yoghurt and tandoori paste together and season. Cover the duck breast with the marinade and chill in a refrigerator for 12 hours. On the day of serving, make the gratin. In a saucepan, mix the milk with the garlic and bring to the boil. Place to one side to allow the garlic to infuse with the milk. After 10min, add the yoghurt and the egg yolks. Layer half the potatoes in the oven proof dish, overlapping the slices, sprinkling each layer with a little salt and pepper. Pour over half the liquid and finish layering, then add the rest of the liquid. Mix all the Raita ingredients together in a bowl and chill for 30 minutes. Meanwhile lay the duck in a pan and quickly seal the meat over a medium heat for approx 1-2 minutes. No additional oil is needed, as the fat from the duck will be sufficient. Next pop the same pan (containing the duck) into a moderately hot oven for around 8 minutes. Add an additional 5 minutes, if you prefer your meat well done. Allow to rest for 10min before serving. 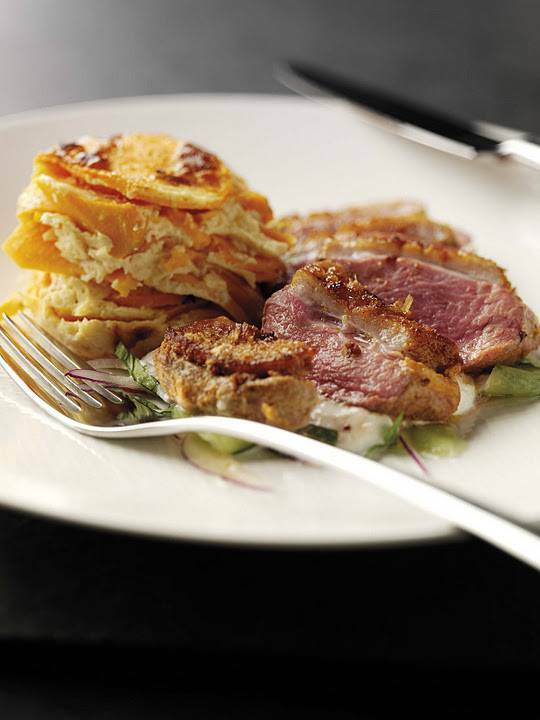 To serve :Slice the duck lengthways and arrange on a plate with a generous serving of sweet potato gratin and a spoon full of Raita. "Creamy Lincolnshire Sausage And Apple Hot Pot"